In the days leading up to Craftproducers Autumn Arts Festivals, we are profiling a few of the participating Exhibitors. If you are an Exhibitor and you would like to see your information here, email amanda@craftproducers.com. Jane Chenaille is a new Exhibitor with Craftproducers Festivals. Based in Granby, MA, Jane designs and creates beautiful quilted works, including bed and wall quilts, table runners, hotpads, and napkins, and a line of aprons that are now sewn by her husband. Meet Jane at the Manchester Fall Art & Craft Festival, beginning Friday, October 4, at the Practice Tee at Riley Rink in Manchester VT.
Mostly fabric. Hand embroidery with Redwork. 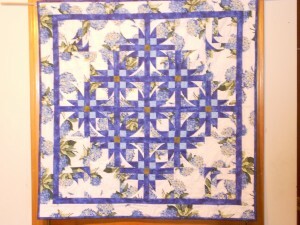 Sewn items: Bed Quilts, Wall Quilts, Table Runners, Aprons, several sizes, and specialty items for special orders. To provide my clients with quality sewn items at reasonable and fair prices. I need to create my own satisfaction in producing high quality items for my customers. The many and varied facets of crafting through sewing, and serving my client base. How long have you been exhibiting at Arts Festivals? As many as 20, and as few as 15, Depending on the year. How long have you exhibited with Craftproducers? What aspect of Festival life do you most enjoy? Meeting new crafters and people who enter my booth. I can’t remember a time when I didn’t want to create things. 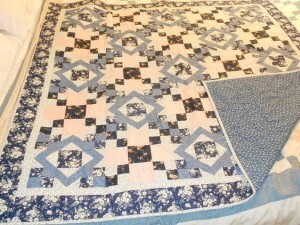 From mud pies when I was a child to the quilts and sewn items I create today. Unfortunately, most of what I do today is for resale so I can only enjoy it until it finds a “new home”. Which creative medium would you love to pursue but have not? I’ve never learned or been taught, TATTING. Do you have a designated Studio? How does this space inspire or contribute to your creative process? No studio. Just craft fairs, website, and Ebay or other sales outlets. What is the best advice you ever received about how to be more creative? My grandmother told me, many, many years ago to be yourself, and create what you love. Visit Jane Chenaille’s booth at the Manchester Fall Art & Craft Festival. 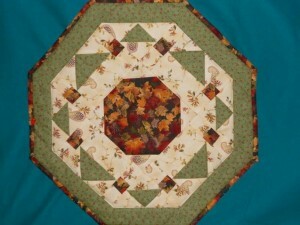 You can also find her work online at www.qualitysewingbyjane.com. Fabulous!!!!! 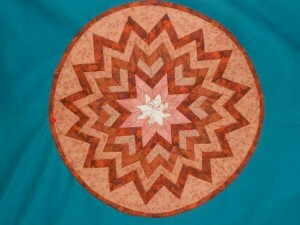 I’ve seen and purchased her creations and she is absolutely the most creative quilter that I have ever seen. Hi. I’m Jane’s husband. Since this interview Jane has had to endure many things, that she has had. as well as myself. She had a complete knee replacement in late 2013, cataracts were a problem in early 2014 and I was diagnosed with esophageal cancer earlier this year. This has caused us to be, not as active as in previous years, however, we are still here and getting more active as sac day goes by.